John Michael “Mike” Priest has been studying the Civil War since he was in grade school when his parents took him and his brother to Gettysburg every weekend. A specialist in small unit tactics, referred to by Ed Bearss as the “Ernie Pyle of the Civil War soldier”, he has authored or edited about 12 books on the Civil War. Into the Fight: Pickett’s Charge at Gettysburg (He can also be seen on the Discovery Channel with Unsolved History: Pickett’s Charge, which is based in part on this book). 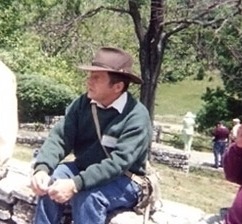 A retired school teacher, he loves hiking Antietam and South Mountain. His favorite sites on the Antietam Battlefield include Fox’s Gap at South Mountain and the walking trails for the Bloody Lane, West Woods and The Final Attack Trail at Burnside Bridge. Mike specializes in small unit tactics and walking tours of the battlefield. Contact The Antietam Museum Bookstore at 301-432-5180 or toll free 866-461-5180 to arrange tours of Antietam and South Mountain or contact Mike at priesjoh@verizon.net. John Michael gave me a half day tour of the Battles of South Mountain in 2017. The tour was extremely informative and engaging. I have been on many battlefield tours with different guides and I would rate John Michael’s tour as one of the best.